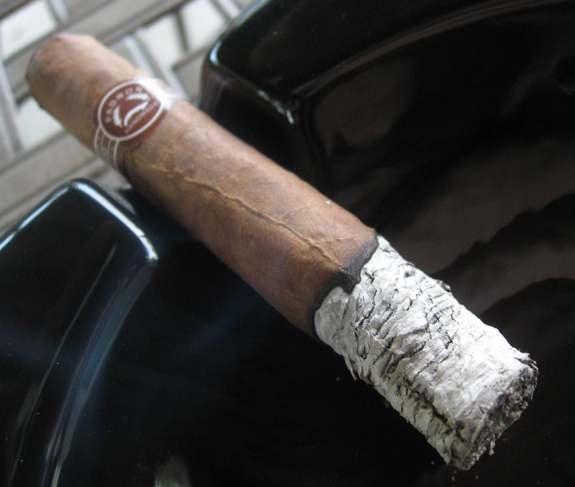 First off, in case you’ve been under a rock this past week make sure to check out Tony’s review on the Macanudo 1968. He’s also running a CONTEST there for a full box of cigars. Read the rules and sign up! As I was browsing through my humidor today I came across and old favorite that I still enjoy. 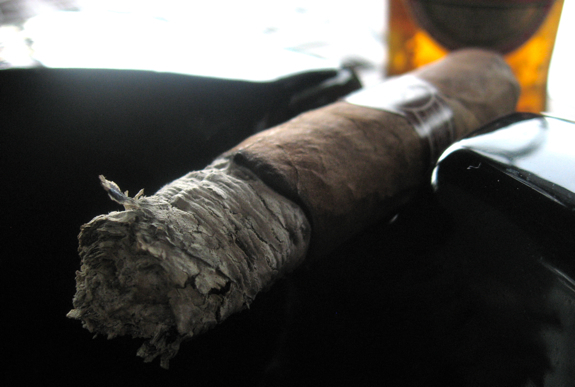 When I took a look at our past reviews I was actually surprised to see that I haven’t reviewed this cigar before. I think it was probably one of my first full box purchases that I ever made and continues to be a staple in my humidor. I still rarely buy boxes as I like to try lots of different cigars so I stick to samples or 5/10 packs. I’ve also bought a couple more boxes of these since my original purchase. 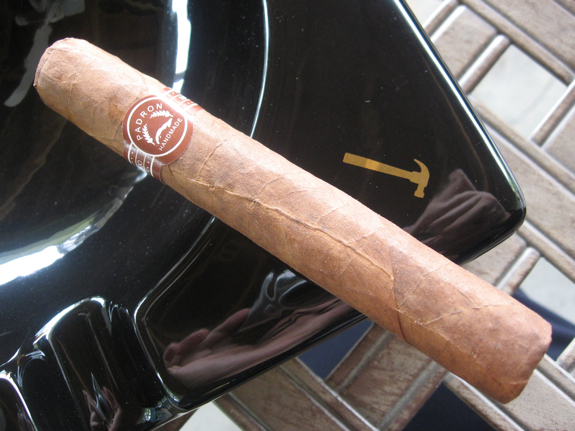 The cigar for today is the Padron Series 2000 Natural. Let’s clear something up first. Everyone seems to have their own name for this cigar. Its equivalent to the music industries “Self-Titled” albums. Remember back when Metallica released their self titled album? Everyone had a name for it and it eventually became known as “The Black Album”. (Random example I know, but work with me here!) I seem to see a similar occurrence with this line. 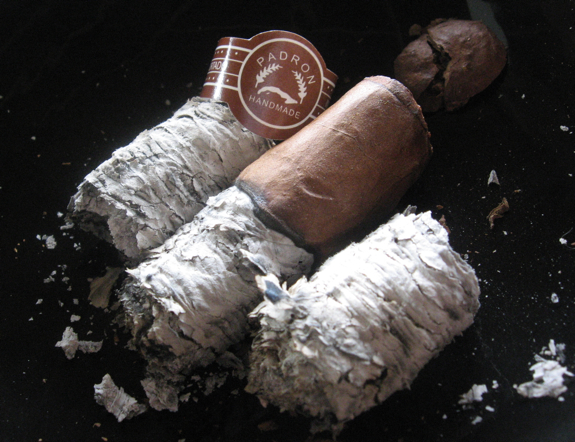 The two most common names seem to the “The Padron Classic Line” or “The Padron Thousand Series” (obviously coming from the fact that most of their vitolas are numbers in the thousands). The actual name for this line is simply the “Padron Series”. 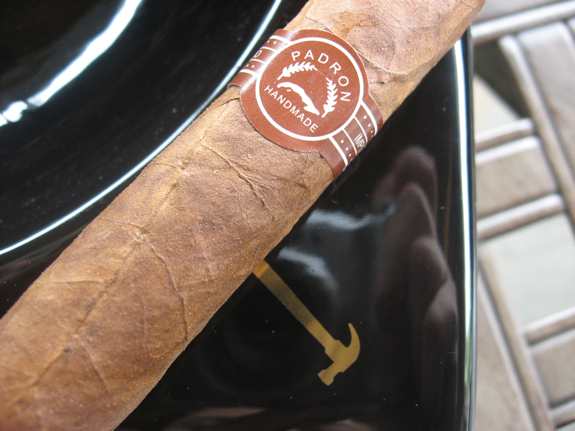 Padron is well known for their two more popular lines, the “1926 Serie” and the “1964 Anniversary Series”. You can also check out my review of the 1926 40 Years or the 1926 No. 35 and the 1964 Anniversay Series Principe. Those two popular lines often carry a fair hefty price tag whereas this line can be had at very valuable pricing. It’s a diverse line coming in 15 different sizes and offered in both Maduro and Natural. One thing to note is that the two different wrappers are usually very hard to tell apart. 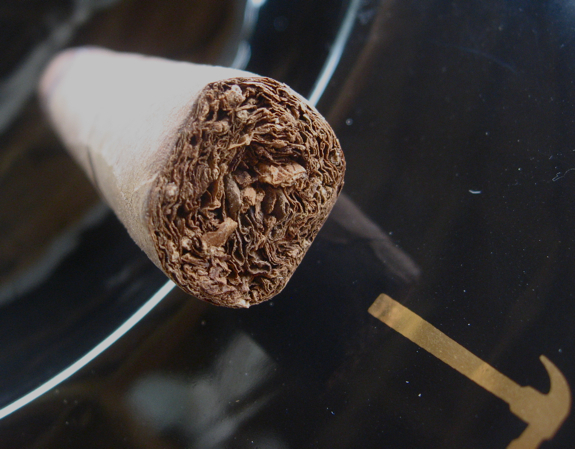 The Natural wrappers tend to have a very dark color to them in my experience. •	No burn issues right down to the nub, I never had to take my lighter out after the initial light. That’s the way I like it! Well I think the fact that I’ve ordered a few boxes of the Padron Series cigars may have already given up the fact that I really enjoy them, and this Padron Series 2000 Natural is no exception. I think that’s easy to see from my notes above. I’ve always been met with great burn and flavors in all of the vitolas I’ve had from the Padron Series. 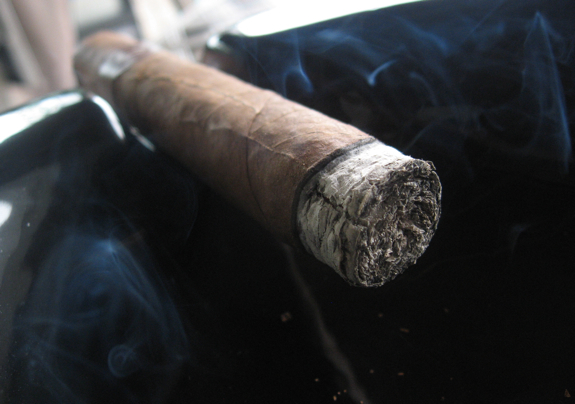 They are also more on the mild side which make a great first cigar at a herf or an early day cigar. It’s also something you can pass out to new cigar smokers without hurting the wallet and you can be sure they will enjoy it. If you haven’t had the chance to smoke one of these or you are part of the group who thinks all Padrons are expensive, then you definitely need to track some of these down and give them a try. Considering the cost of these, especially if you find them on sale, you can’t go wrong. For the pairing today we have one of my favorite summery blonde brews from one of my favorite breweries. It is the Innis & Gunn Oak Aged Beer. It’s a wonderful Scottish brew which is aged in Oak casks for a minimum of 77 days. I also paired this brew with Man O’ War Virtue a while back. Don’t let the lighter color of this beer fool you, it is full of flavor and surprising more bold than you would expect. You get the obvious oak flavors in every sip which make a wonderful layer on this brew. Along with that, you get some smooth caramel and slight malty flavor with a fresh and crisp finish. The pairing with the Padron Series 2000 was a pretty good one. 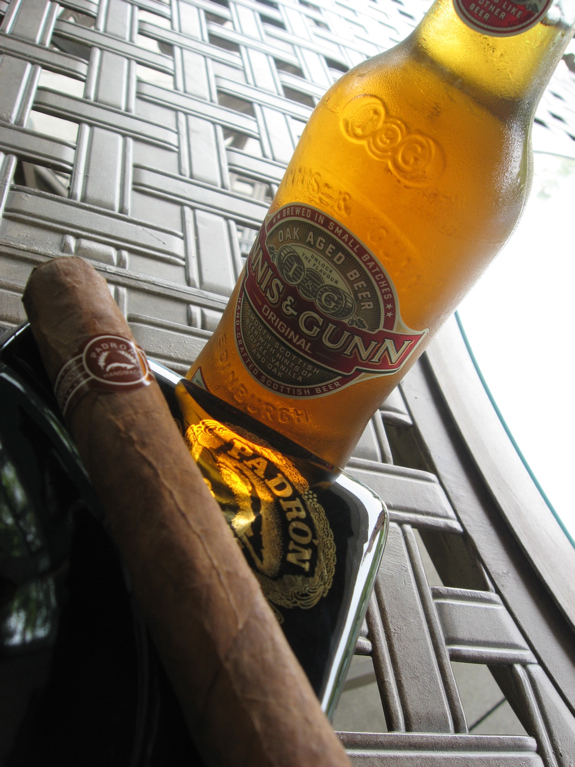 The oak flavors in the beer accented the woodsy flavors in the cigar although I think the brew would pair better with a Connecticut. Coffee seems to be my favorite pairing with any of the Padron Series or a coffee flavored porter/stout. Another great review, Daniel. I’ve only had the maduros, so I guess I need to try the natural wrappers. 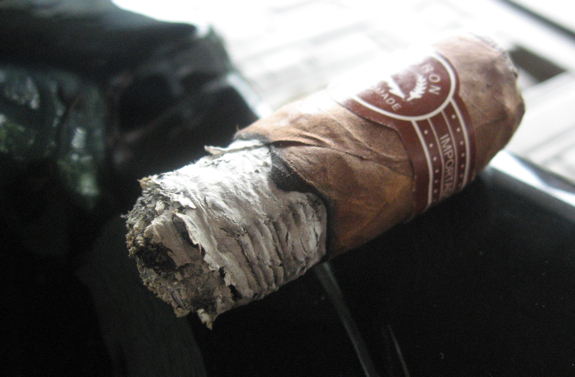 I agree that they are a great value cigar, even if they sometimes look a little funky. How much of a difference did the 2 years of aging make? @jjo – I find very little differences between the two wrappers actually but I’d probably prefer the maduro for a little more darkness if at all possible. All Padrons seem to be very close in color between their Naturals and Maduros. The aging didn’t actually seem to do much on these, it was still just as smooth and still had the intense flavors at the end. So I guess it’s a good thing to know that aging doesn’t benefit these too much, but also good to know you can store them if you find a good sale and not worry about them going bland! Thanks for the additional info! Maybe I’ll just stick to the maduros for now, but it’s good to know that if my options run low, there won’t be a big difference. great beer choice. one of my personal favorites! Great review, great cigar !!! I call them, X000 series 🙂 I smoked 2000 maduro about a month ago and simply LOVED IT ! I still can’t believe that we are able to purchase them at such a relatively low price. I have never tried Padron w/ natural wrapper. It has always been maduro. As for as photography in your write-up, I really dig # 2 and # 10 ! Keep up the good work, brother ! @NoDough – Definitely a great beer! Thanks for the read and comment!